Hon. 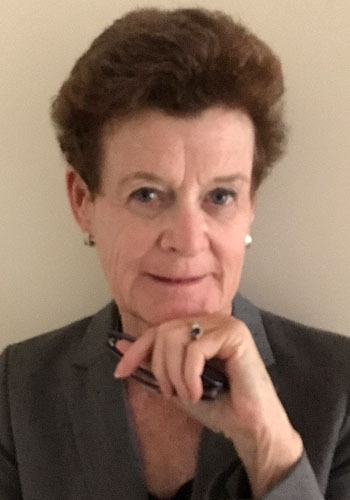 Beverly J. Hodgson - Mediator & Arbitrator based in New Haven, Connecticut. After over 15 years as a Judge of the Connecticut Superior Court, Beverly J. Hodgson has become a private arbitrator and mediator. She was the first judge assigned to the Complex Litigation Docket at its inception in 1998, and she has adjudicated and conducted settlement negotiations in a wide variety of civil cases, including commercial and contract disputes, medical and legal malpractice, land use, employment, construction, consumer, will contests, insurance coverage, environmental and personal injury cases. She is an elected member of the College of Labor and Employment Lawyers, an association of prominent practitioners. Her experience includes litigating class action lawsuits as a lawyer and adjudicating them as a judge. She served as a court-appointed monitor in Allen v. Department of Correction, a sexual harassment case pending in the U.S. District Court in Connecticut, and as interim executive director of the Connecticut Office of State Ethics in the fall of 2007. She also served as aconsultant/fact-finder for Yale University's Committee on Sexual Misconduct and for a corporation in Fairfield County, Connecticut. She served as the Project Neutral on the development-construction project for the $30M renovation of highway service areas in Connecticut. She has taught a course on ADR Skills at Yale Law School, where she taught Trial Practice for many years. She is the co-author of Alternate Dispute Resolution in Connecticut's Courts (Atlantic Law Books), a compendium of Connecticut case law and procedure in arbitration and other ADR matters. Since 2003 she has written a monthly column on ADR subjects for the Connecticut Law Tribune. A graduate of Brown University and Yale Law School, she was a trial lawyer and partner at one of Connecticut's leading law firms before going on the bench in 1987. She successfully argued a case in the United States Supreme Court. She is the recipient of the Connecticut Trial LawyersAssociation Judiciary Award and the Robert Zampano Award for Excellence in Mediation. She has arbitrated or mediated hundreds of cases involving many kinds of claims, including but not limited to product liability, employment, property rights, insurance coverage, construction, will contests, personal injury, contract, and discrimination. She appears frequently on CLE panels on ADR subjects. Harvard Graduate School of Education M.A.T. AAA Arbitration Awards: Safeguarding, Deciding & Writing Awards; AAA Dealing With Delay Tactics in Arbitration ; AAA Chairing an Arbitration Panel: Managing Procedures, Process & Dynamics; AAA Labor Arbitrator II Training: Advanced Case Management Issues; AAA Commercial Arbitrator II Training: Advanced Case Management Issues; Arbitrator Update ; AAA Arbitrator I Training-Fundamentals of the Arbitration Process; Connecticut Judicial Branch, Mediation Skills for Judges; Connecticut Judicial Branch, Mediation Techniques.